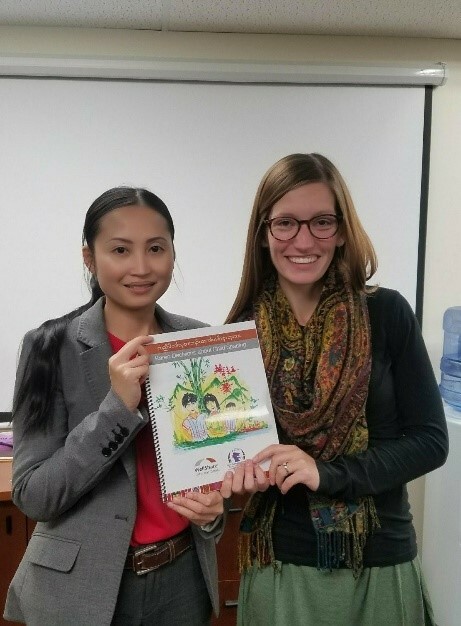 Since 2012, WellShare International and the Karen Organization of Minnesota have been partnering to engage the Karen community in St. Paul, Minnesota on topics related to reproductive health and health access. Our programming has included: health education; bilingual resource development; engaging stakeholders to increase cultural understanding; and community-based research. Early in our partnership, conversations with the community and with health care providers revealed the need for Karen-language resources related to family planning. This led to the creation of a two-sided, bilingual resource highlighting contraceptive methods available in the U.S. This resource was very well received and a more in-depth resource was requested. 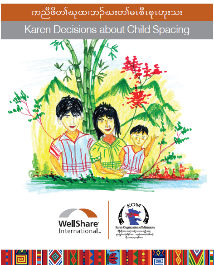 We are extremely proud and excited to announce that we have completed a new booklet together: Karen Decisions About Child Spacing. This booklet highlights topics related to child spacing including Reproductive Anatomy Basics, Child Spacing Methods, Dual-Methods, and Talking to a Health Care Provider. The booklet also answers key questions about each method. We hope that this resource will be useful to community members and to healthcare providers for many years to come! You will soon be able to download a free copy of the resource here (please note that this resource will be accessible in the next two weeks.) If you are interested in physical copies, please e-mail info@wellshareinternational.org for more information. WellShare International would like to thank the Karen Organization of Minnesota for their continued partnership and the Minnesota Department of Health for financial support – all of whom make our work possible.